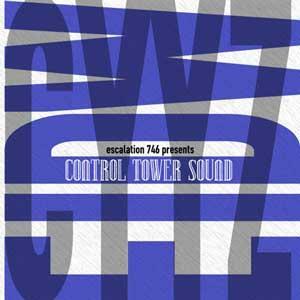 Here is the premiere of the front cover for the Control Tower Sound CD. The CD label itself is similar. The photo of the Shannon airport control tower was used prominently on all of the promotional items for the event. However, I decided for the CD to relegate this to a secondary role. Instead I prefered to emphasise text. CYYZ is the code for Pearson International Airport in Toronto; EIDW represents Dublin, Ireland. It is these two control towers which provided the ATC recordings used on the CD. The black text is the piece To Measure Us, track 9 on the disk. The grey text is the weather readout from CYYZ at the time of the ATC recordings. This dates to 2 August 2005, three days before my live performance, when Air France Flight 358 from Charles de Gaulle Airport, Paris ran off the side of runway 24L and crashed. Far from being a piece of sensationalism, the recordings illustrate how matter-of-factly the ATC professionals deal with the events of their day, no matter what they may be. 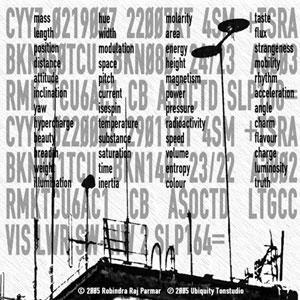 While on the subject, I have updated the previous post with the latest track listing.